I have a weakness, I will admit, for flaky buttery tart crusts, filled with sweet tart lime filling, and topped with summer berries. 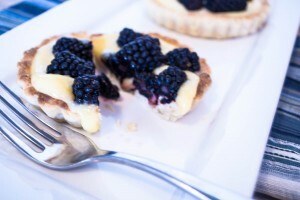 That first bite of firm, flaky crust makes me weak in the knees, followed by the tartness of lime and sweetness of blackberries, it’s like Meg Ryan in her movie “When Harry met Sally”….”I’ll have what she’s having” says the lady at the next table! Oh boy…I am in trouble! …. It’s a good thing I rode 50 miles on my road bike last weekend! After that long ride, I don’t feel as guilty indulging in one or three of these little gems. I love tasty little tarts. There’s something comforting about them, it’s not exactly a pie…and not a cobbler or crisp. Instead something so elegant and pretty, but is a snap to make! The crust I like to make is a bit different from my pie crust, my tart crust has egg and vanilla in the dough. If you have never made tarts, you must make one and give one to a friend. They will think you fussed over it all day long! So grab some local berries, tart pans, a glass of wine and put on your favorite Pandora station and head to the kitchen…. 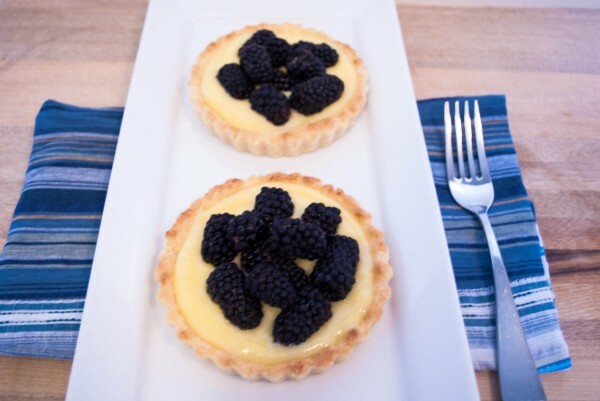 This recipe will make 5 mini tarts or one large 10 inch tart. 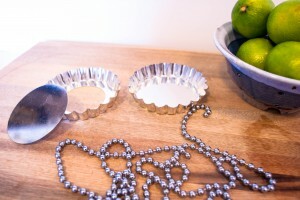 I like to buy my tart pans from Sur La Table, they are sturdy and not flimsy. I throw ’em in the dishwasher and they clean up nice! ( Hand washing is not my thing!) Not to mention they have a ton of different sizes from minis, to large, and rectangles to circulars. Just make sure you use the tart pans with removable bottoms, or you will not beable to remove your crust nicely. Also you will need pie weights, these are blind baked and then filled. The pie weights keep the crust from puffing up ( if you do not have pie weights, you can line your tart with foil and beans). While the tarts are cooling, make the lime filling, and cool in the fridge for 3o minutes. This also keeps in the fridge for 2 days, so you can make it ahead. Share with a friend or two, or keep them all for yourself! 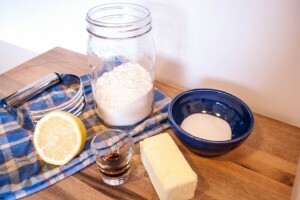 In a food processor, mix flour sugar, salt, grated butter, egg yolk, vanilla and lemon juice. While pulsing add the ice cold water. Process until blended. Divide evenly among mini tart pans or if using one large tart pan, place ball in middle. With your fingers, gently smooth out towards the edge and up the edge evenly. Line tart pans with pie weights ( or foil and beans) and bake at 375 degrees, 15 minutes for mini tarts, and 25 mins for a 10 inch tart. 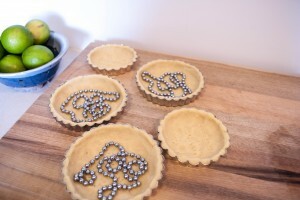 While tarts are cooling, make lime filling.Whisk eggs, yolk, and sugar in medium bowl until blended. 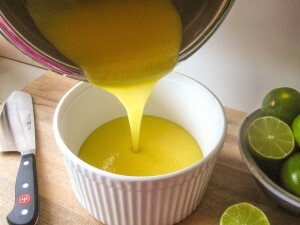 Whisk in lime juice. Set bowl over a pot of simmering water and whisk until thickened, about 8-10 mins. Do not let the curd boil. Remove from heat and stir in butter. Let cool in fridge until ready to use. 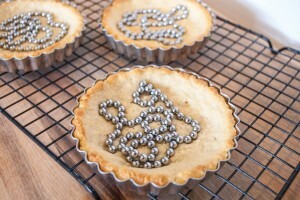 To assemble tarts, remove pie weights and tarts from pans. 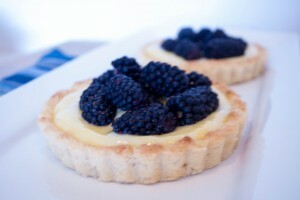 Spread curd in tart shell and top with berries. Enjoy! these look great. I want to try and make them with a dairy free margarine for my lactose intolerant daughter. 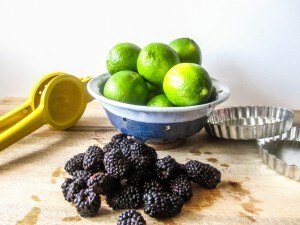 I love blackberries and limes. Just made peach and blackberry pies. So delicious.